They are correctly deducing that quite often a disc can travel farther rolling along the ground than spinning through the air. Actually, if the terrain and conditions are suited to the purpose – and the roller shot is thrown by someone who knows the right way to do it – that is usually the case. Pretty enticing for someone who is having a hard time getting the kind of distance he sees everyone else getting. Some people eschew the roller shot as a violation of an important aesthetic element of disc sports (“it’s supposed to float through the air, man”), but to them I say “get over it”. At one time I was in that camp myself, but then I realized that as a person who loves the competitive golf aspect of disc golf, I was just jealous that others who could execute rollers had an advantage over me. 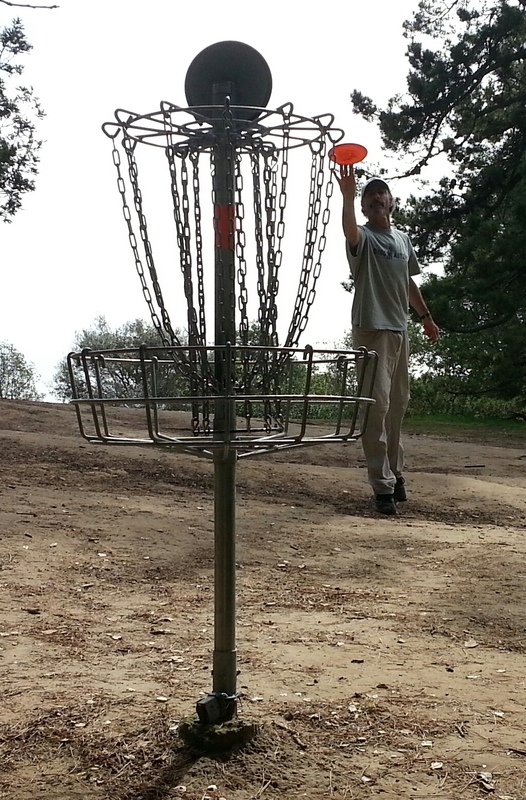 So I began to figure out that whole other world of getting discs from point A to point B. In fact, roller shots are not nearly as inelegant as they might first appear. The same science of selecting just the right combination of release angle, armspeed and aim that goes into a good air shot applies to rollers as well. What follows in this post is a summary of some of what I’ve learned between that time and now. In this case, slicing it up using the journalist’s tried and true who-what-when-where-why, and of course, how categories makes lots of sense. Just so you know ahead of time, the ‘How’ will follow in a Part 2 post to follow shortly. The people who throw rollers tend to fall in one or two groups- or both. Some are players that really love the sport and regularly play, but for physical reasons just can’t get much distance through the air. Age is often a factor, as players of Boomer age often find that their bodies won’t generate the kind of armspeed and whip action that is needed for long flights through the air. The other group includes players that insist on mastering every possible way to throw a disc further and past obstacles that block high-flying hyzers and anhyzers. 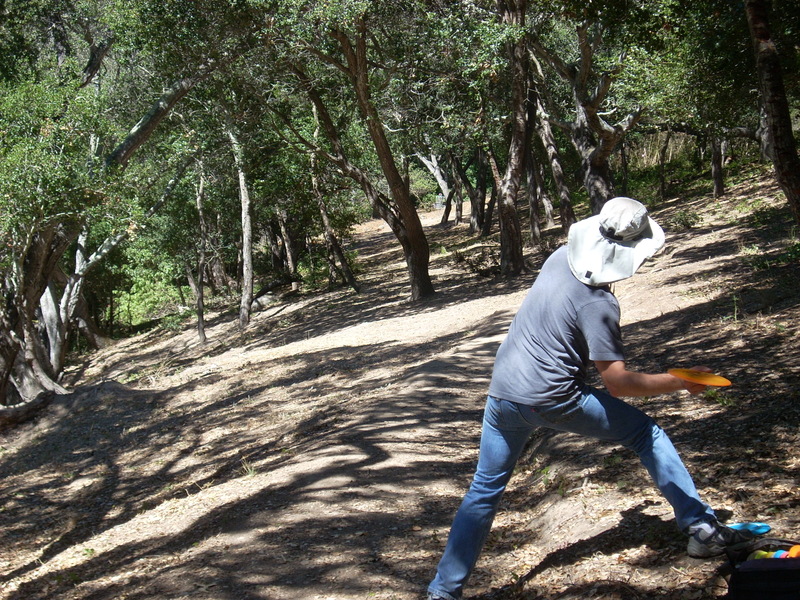 Players who are obsessed enough with disc golf to incessantly experiment will eventually discover the roller shot- either through intention or by accident. Well, the ‘what’ is pretty self-explanatory. 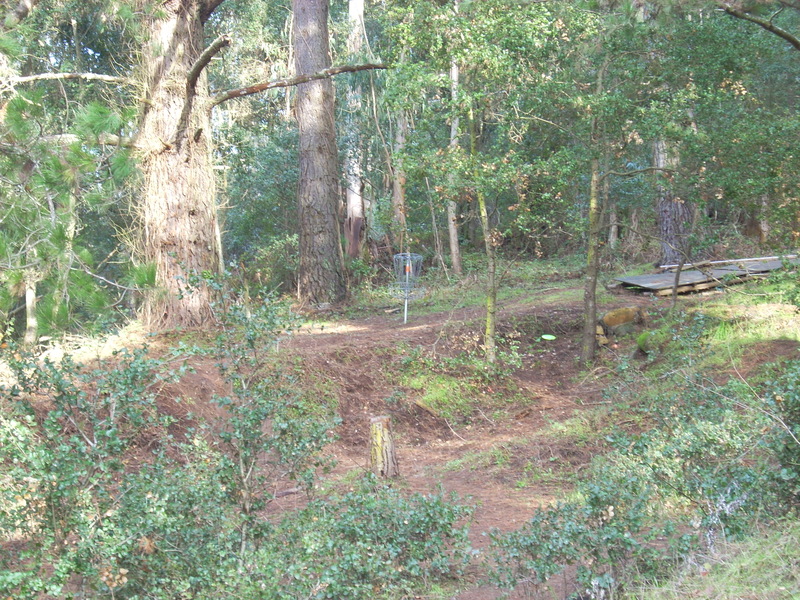 A roller is a disc golf throwing technique wherein the disc rolls along the ground rather than flies through the air. But wait! Sometimes it’s not quite so cut-and-dried. Depending on the situation, some roller shots don’t actually hit the ground and start rolling until more than halfway into their total distance covered. What’s more, as far as the technique is concerned roller shots are really just backhand or forehand throws with modified angles or release so that the disc will hit the ground mid-flight at an angle that will cause it to roll on it’s edge rather than stop, slide or skip. A good example of a roller in mid-roll, and also of ideal terrain for a roller: short grass on smooth, flat ground. Stock photo. Another thing about roller shots to keep in mind is that the rate-of-rotation effects the path they travel just as much as airshots. Maybe more. So just like a shot through the air will have the highest spin rate just after it’s released, then towards the end the spin will slow down and usually cause the disc to ‘fade’ (to the left for a right handed back hand shot), a roller is effected by this principle as well. More on this in the Part 2 where we’ll discuss the ‘How’. Not a whole lot to discuss here beyond what’s already been mentioned in the ‘Who’ section and what’ll be covered in the ‘Where’ section next. When you need a little extra distance and your airshot doesn’t quite get you there, the roller may bridge that gap. When there is a stand of tall trees that also have low-hanging limbs between you and the basket that would otherwise be reachable, a roller can zip right past those tree trunks and under those limbs. Not when (or When Not) is also important to keep in mind, and the one thing to remember is that wind can greatly effect roller shots. Since the disc is vertical rather than horizontal most of the time with rollers, the wind can push it around that much more. Just picture a sailboat in a strong storm. Don’t take this to mean that you can’t throw rollers when it’s windy. Just be aware that the wind will make a big difference in the results. Sometimes the change is good, and sometime baaaaad. Roller shots work best on terrain that is hard and smooth, or as close to that as possible. Grassy fairways that are mowed often and not too bumpy usually produce good rollers, and hard-packed dirt is even better. Obviously ground that is fairly free of bushes and debris is more conducive to a successful roller shot than otherwise, but players will often roll the dice and hope for the best when there are rocks and roots to be navigated. When a small obstacle on the ground is encountered the chances of the disc hopping over it and continuing on it’s intended path are about the same as the disc being re-directed away from the target- sometimes far away. That’s just a risk that is present that obviously isn’t an issue with shots that travel through the air. When using a roller to get past a stand of trees, it’s good to remember that you’ll be rolling past the bottoms of the tree trunks and not dealing with any part of the trees above six inches or so (once your disc hits the ground and begins rolling). That combined with the fact that the disc itself will be mostly vertical and therefore presenting less opportunity to hit something should enable you to see more chance for a successful roller. One other thing. As you experiment with rollers, you’ll learn that a certain amount of space is required to execute this shot. It’s generally tough to pull off a roller in a place where you need to hit a small gap directly in front of you. The disc usually needs to travel a bit before hitting the ground, and getting it to land at the correct angle often requires some lateral (side-to-side) space. The only way to know your own limitations is through experimentation, and the only lots of practice can reduce those limitations. As a recap, the reasons to throw a roller are the potential for more distance than you’re able to get using any other technique, and the ability to get past obstacles that block all options through the air. Sometimes, when those limitations are present, the roller provides an option where there otherwise would be none. And rollers aren’t just useful off the tee. They can be lifesavers as rescue shots where you need to get under obstacles, have a lie that restricts your normal throwing motion, or need to get around tight corners. 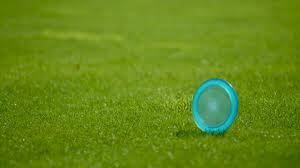 But there are plenty of reasons why you should NOT throw a roller . As mentioned in the ‘Where’ section above, some terrain is just not conducive to roller shots. No matter how much the shot otherwise calls out for a roller, if the ground is full of rocks or gnarly brush, you’re more likely to get a hopper-and-stopper. When you’re assessing whether to use a roller, another thing to keep in mind is the fact that a roller gone awry can get far, far away from it’s intended route. The flip-side of the extra distance rollers can provide toward the target is the extra distance they can wander away from it. For this reason, you should not attempt rollers in a round you care about until you’ve gotten enough practice to be able to use them with confidence. Finally, remember (as mentioned above) that roller take a different path from the time they leave the hand to the time they hit the ground than airshots. They usually require more lateral space and often more clearance as well. You’ll only know when you’re in a place where your own personal roller won’t work through trial-and-error. Best to do that experimenting when the money/victory/bagtag/bragging rights aren’t on the on the line. Coming soon, a post where I’ll discuss the mechanics of the different types of roller shots. I’m hoping to get the direct input from my own personal roller coach, so stay tuned!